N.E.mation! 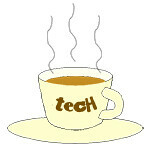 « Tech bytes for tea? Here is a sampling of the art used in this year’s N.E.mation! competition. Simple but innovative use of ink cartoons on plastic cups for use in stop-motion animation. Rotate the outer cup to get different facial expressions or different stages of a chin-up exercise. Prop by N.E. HEH HEH (#NE11C09). To many, N.E.mation! 11 is first and foremost an animation competition – with animation themes based on the National Education message of building a strong and resilient country that can defend itself against adversity and external threats. My favourite is this finger puppet of a soldier sewn by [BlankSpace] (#NE11C01). Other finger puppets included civilian clothes like those worn by the Sylvanian family of toy figurines. Cut-out pop-up park to be used as background for the animation. The cylinder can be rotated to simulate movement of foreground objects in the animation. By [BlankSpace] (#NE11C01). So a lot of emphasis is focused on the animation techniques used and how slick and accomplished the completed animation looks. MADEit (#NE11C08) animates the images on a $10 Singapore bill, adding their own elements to it in their animation. N.E.mation! 11 bestows upon participating teams the skills of digital animation. Finding Sanity (#NE11C05) draws their artwork on a computer for their 2D 8-bit animation. I like the patchwork look. More than that, the competition also brings out the artistic talents in every participating individual. Passionfruit (#NE11C10) draws their artwork digitally on a graphics tablet. We met with one of the Top Ten teams for this year’s N.E.mation! competition – “Passionfruit” from Evergreen Secondary School. Passionfruit’s animation, “Shields of Singapore”, is now available for viewing and voting. You can find out the four methods of voting your three favourite clips here. N.E.mation! 11 Team “Passionfruit” from Evergreen Secondary School. From left: Wong Xin Yuan Mabel, Maybelle Ong Hui Leng, Yolanda Low Jing Xuan, Pamela Lee (Li Ming Fang). This team is the most passionate of the lot – seriously folks! Leader of the bunch (of Passion fruits) – Mabel Wong Xin Yuan. I could tell from talking with these four young ladies about the digital 2D animation that they have been working on for the past three weeks of production. The title of their 1-minute animation is “Shields of Singapore”. Using the allegory of an umbrella to express their main idea, the theme is that “Everyone is a shield of Singapore, no matter rain or shine”. And this is embodied in what citizens do in their everyday lives, manifesting itself in how Singaporeans help one another in sticky situation and even in the littlest things – shielding one another from harm and giving a hand when needed. We met with one of the Top Ten teams for this year’s N.E.mation! competition – N.E. HEH HEH from the Singapore Chinese Girls School (SCGS). Erin Tan reports. N.E. HEH HEH’s animation, “Just A Little Something”, is now available for viewing and voting. You can find out the four methods of voting your three favourite clips here. N.E.mation! 11 Team “N.E. HEH HEH” from Singapore Chinese Girls School (SCGS). From left: Wang Lei, Sarah Mak, Karen Nakajima and Michelle Khor. N.E. HEH HEH is the only team from SCGS in the Top Ten teams in this year’s N.E.mation! 11. Wang Lei, the Secondary Three team leader of N.E. HEH HEH, a bubbly art student who also drew life-like portraits of the entire team – see below. The team members consist of two Secondary Three ladies, who keep the team anchored, and two Secondary Ones, who keep things light-hearted and fun. The two Sec Three girls – Wang Lei and Sarah Mak – are veterans from the school’s N.E.mation! 9 Top Ten team two years ago! They told me that their team name is a play on the evil laughter of the character Pap from the video game Undertale, and the name “N.E.mation”. The product of these three weeks of production will be a 60-second animation, to bring to life the ideas and storyline they proposed during the earlier pitching and selection rounds. We met with one of the Top Ten teams for this year’s N.E.mation! competition – “[Blank Space]” from Ahmad Ibrahim Secondary School. Erin Tan reports. [Blank Space]’s animation, “Our Five Fingers of Defence”, is now available for viewing and voting. You can find out the four methods of voting your three favourite clips here. N.E.mation! 11 Team “[Blank Space]” from Ahmad Ibrahim Secondary School. From left: Tan Jing Yi, Olivia Surrthi Ketheesan, Ng Hui Xin, and Nur Adilah Binte Jamaludin. The team members are all from the same Secondary Two class. They tell me they can never stop arguing with each other, yet they are able to work together in perfect harmony nonetheless. Olivia Surrthi, Secondary Two, the tallest and supposedly the most mature of the group. Their team name arose from not knowing what to name themselves, and so they came up with this creative name. They say it has nothing to do at all with Taylor Swift’s song “Blank Space”, which became immensely popular two years ago when it was released. After these three weeks of production are over, they will be required to submit a 60-second animation, the plot of which they have refined and perfected over the course of the selection rounds. [Blank Space]’s animation revolves around a the imagery of a hand with five fingers – with each finger representing one of the five pillars of Total Defence – Military, Civil, Economic, Social, and Psychological Defence. We met with one of the Top Ten teams for this year’s N.E.mation! competition – “MADEit” from Cedar Girls Secondary School. Erin Tan reports. MADEit’s animation, “Our SG Dollar”, is now available for viewing and voting. You can find out the four methods of voting your three favourite clips here. N.E.mation! 11 Team “MADEit” from Cedar Girls Secondary School. From left: Wendalyna Lye, Gwyneth Tey, Angel Goh, Nicolle Gan. MADEit is one of three teams from Cedar Girls Secondary School (CGSS) that made it to the Top Ten for N.E.mation! 11 this year. The team members are all veterans, having also made it to the Top Ten for N.E.mation! 10 last year. De facto team leader, Angel Goh of “MADEit”, the veteran team from Cedar Girls Secondary School. Her teammates describe Angel as an “angelic angel”. This year marks their comeback. MADEit is made up of four ladies from CGSS, and they are all proud to have made it so far for two consecutive years – as evidenced by their team name. As a school, CGSS is relatively new to the Top Ten round of the N.E.mation! series of animation competitions. However, they are rapidly up-and-coming – from the lone team in the Top Ten of N.E.mation! (HigherThanYou, which clinched the 1st Runner’s up in 2014, to sporting three finalists in both last’s year’s N.E.mation! 10 Top Ten, and this year’s N.E.mation! 11. The Top 40 teams that made it from the Top 100 team pitching session on 7 September refined their presentations and came back to battle for the Top 20 places. Erin Tan reports. The Top 40 Teams for this round. Photo credit: nemation.sg. The judging sessions yesterday ran concurrently in three separate rooms in Nanyang Polytechnic. Each team had ten minutes to present their ideas and answer questions from the judges, with the help of visual aids. Cedar Girls Secondary’s “Duck Duck Glucose” facing the ominously-placed timer, awaiting judgement. It was an intimidating experience for some given that the timer was placed practically right in front of their noses! Why do boys do that? These boys are practising their pitch facing a wall. Most of the teams, however, managed to keep to the time limit. The other teams waiting for their turns were frantically rehearsing and refining their pitches in two computer labs behind the judging rooms. The annual NEmation! competition, organised by Nexus, marks its tenth anniversary this year, and the competition is already well underway. Out of 475 teams that registered for the contest this year, 100 were shortlisted to pitch their ideas to judges on Monday to see which team would make the Top 40. Yesterday, the third stage of selection was conducted – whittling down the 40 teams who made it through the first two rounds to just 20 teams. I witnessed many different and dynamic ideas were produced, ranging from a tower of bricks made in the shape of the Total Defence logo shaped like a hand; to a dish with many ingredients representing the different elements that make Singapore unique. There was even an extremely comical pun on the words “eyelid” and “I Lead” representing Singapore’s ‘vision’. Very punny! All in all, the students had great fun. Many of them I chatted with shared that they had had great fun and had learned many new things like teamwork, time management and spontaneity. All the ideas seemed promising, with great potential, but in the end, only 20 could be selected. The Top 20 Teams who emerged from the Top 40. Photo credit: nemation.sg. Here are the Top 20 Teams that will head into the final selection round on Saturday.